Singapore F1 tickets don’t come cheap but the organisers excel though at creating an event that adds value to the Grand Prix goers experience with nightly concerts and fireworks displays all included in the cost of the tickets. There are also a lot of options – from standard general admission known as walkabout, premier walkabout, premium grandstand packages and multi-grandstand combi packages where you get to sample a new grandstand each day, and everything in between. For those with the budget, Singapore boasts some of the most sought after VIP hospitality packages as well. Unusually for a Grand Prix, the Singapore circuit is divided into 4 zones, and tickets allow you to access the zone where your grandstand is and up to 3 other zones. Every ticket holder has access to zone 4, the walkabout zone. 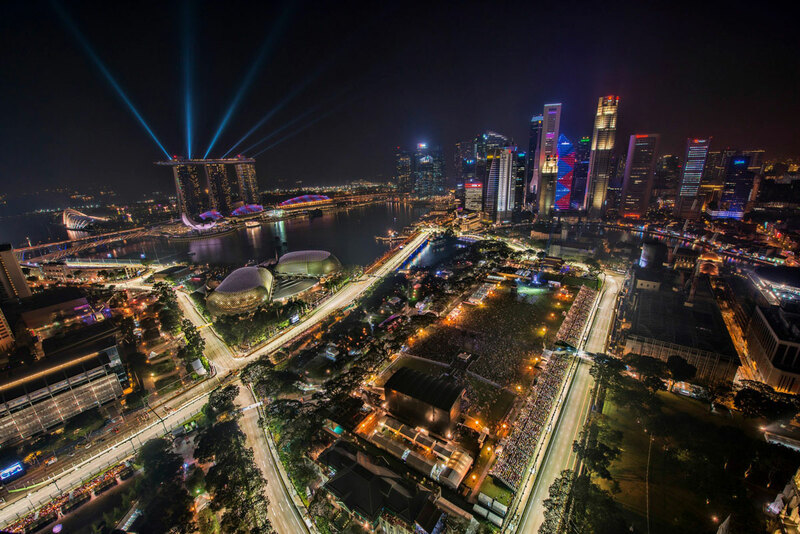 Where to buy F1 tickets for Singapore? No, at Singapore all tickets are sold as a tickets are for 3 days. Yes. All tickets are for fans attending Friday through Sunday. Is there a free to roam day at the Singapore Grand Prix? Will there be a free pitwalk at Singapore? At the time of writing there are no plans to have a free pitlane walk for tickets holders. What is the difference between Walkabout and Premier Walkabout? The Premier Walkabout ticket allows access to all 4 zones of the circuit. The standard Walkabout ticket only allows fans to enter Zone 4. What group/family tickets are available? There aren’t any packages specifically for families but Singapore encourages groups to attend with discounted tickets available for groups of four or more. Tickets eligible for group discounts are Pit, Connaught, Padang, Stamford, Esplanade Waterfront, Bay and Premier Walkabout. Yes, but unfortunatly only Turn 1, Turn 2 and Pit grandstands offer discounted entry to children under 16 years of age. Children are welcome elsewhere with an adult ticket. If attending with children under 7, please note that the organisers insist on all parents or guardians signing and bringing with them an indemnity form, releasing them from liability. The form can be downloaded and printed here.